Barr cottage is perfect. Country cottage vibes with all modern comfort. Everything was so well equipped which made self catering so easy. Cosy and warm too! Birds and wildlife right outside the door and view of loch from window in the lounge. Would love to return. What a great place! A stylish renovation, a well-equipped old cottage with all the modern conveniences, tranquil setting, Loch Fyne in the distance. We loved watching the birds and red squirrels on the feeders. A lovely welcome from John & Victoria, with flapjack and fresh flowers. They were friendly and helpful without ever being intrusive. A really relaxing stay. The Barr Cottage was a beautiful home for our small family with children who loved to play in the garden or looking out for sheeps. It's spacious and very clean. Nothing has run down. Victoria and John are very friendly and also helped us with our car problem. We really would love to come back. My friends and I had a great stay at the cotttage. It is even more beautiful than in the pictures. The house is spotless and had everything we need. The hosts are very welcoming and gave us all the information we needed. Victoria made us an amazing lemon drizzle cake too which was a lovely tough so thank you for that. The scenery around this area is stunning. We were blessed with lovely weather which made it even better. All in all it was everything we were looking for and more to get a break away from the city. A very nice and comfortable cottage with very pleasant and helpful owners. 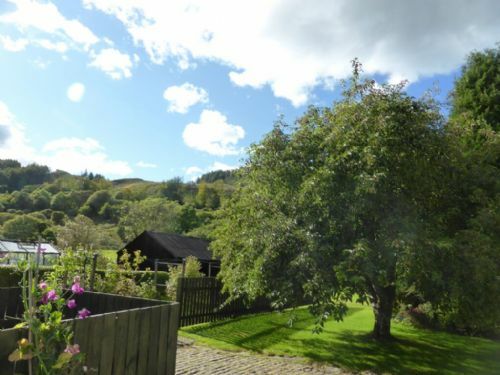 Location is peaceful with good views over Loch Fyne. Plenty of wildlife visits the large garden. The cottage was lovely and clean with everything you need. The agent was very helpful when we wanted to extend our stay. Barr Cottage exceeded our expectations! The property and our hosts embodied the spirit of Scotland! We were warmly welcomed and shown the ins/outs of the property by our hosts. The cottage was spotless, well-equipped, comfortable, modern, convenient, warm, cozy, tons of amenities (I found the apron!) and full of literature of the nearby walks, restaurants, and attractions. The kitchen had everything we needed - the DW was great to have, but we did not use. We did use the W/D, as we had been traveling for a week already. We really enjoyed the fire stove in the LR and were eager to return home each evening to relax with a glass of wine or local brew with a warm fire. We loved the location - for us it was a perfect home base to explore on our first visit. We were not interested in spending our days in the car, and we found more than we could ever want to see/do within 90 minutes of the cottage. The grounds and view were spectacular. We enjoyed watching the neighbor's sheep frolic every day. One of our favorite outings was a drive to Gigha Island - taking a scenic drive and ferry over to the island. Our hosts were full of ideas and suggestions but were respectful of our privacy. We also enjoyed our final meal at Samphire in Inveraray, nearby. The Barr Cottage experience was the highlight of our two week UK visit. Thank you! Lambs and Daffodils in Abundance! Barr cottage is just delightful both inside and outside. 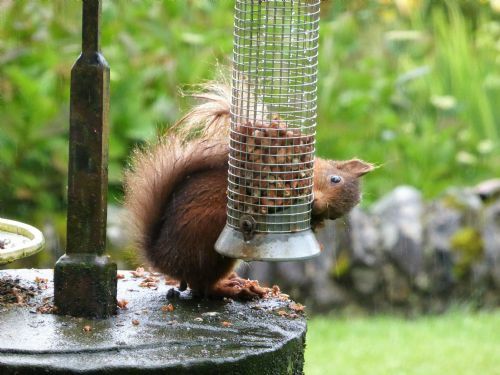 We loved the open views over fields and loch , the bird feeder that attracted a variety of birds including the Great Spotted Woodpecker , and a lovely red squirrel with the bushiest tail! the efficient central heating and wood-burning stove kept the chilly April weather at bay. We were very cosy! The cottage has been expertly renovated to provide a modern kitchen and dining with everything one would require,a spacious bathroom , a living room with loads of books and games ,and very comfortable bedrooms - all beautifully decorated. I cannot say enough good things about the property and the welcome we received from John and Victoria. A real home away from home in a beautiful part of Scotland. It is a romantic old cottage, but inside everything is new und very tidy. It is furnished with love and there was nothing we could have missed. The owners are very friendly and helpful, there even was a freshly baked cake and fresh flowers in a vase on the table. Outside you have a wonderful garden of your own and a garden table and chairs, and a wonderful look into the landscape on mountains and Loch Fyne. We highly recommend Barr Cottage for a relaxing stay in a less visited part of Scotland. The setting was picturesque, with white sheep on green rolling hills, near many important prehistoric landmarks, quaint villages and good restaurants. Our hosts were wonderful! The cottage was immaculate and roomy. We would love to come back one day! Nice renovated place and with it's own mood and atmosphere. We have found anything we needed, very tidy. You really feel welcome in this place! This was an excellent "find" because you never quite know, even with photos, what it will be like. The house was faultless, and the proprietor was delightful. We will be back. Victoria and John are very careful and friendly hosts. They gave good informations for interesting places around. Great welcome from the owners & another very comfortable and peaceful stay on this lovely cottage. Very recommended. From the moment we arrived at Barr Cottage we know that we were going to have a lovely stay. The owners were there to give us a very warm welcome and there was a lovely Easter egg sitting on the table with a welcome card. The garden is beautiful with red squirrels, woodpeckers and numerous other birds. The cottage was very warm, cosy and perfect for a holiday in Argyll. Beautiful cottage in lovely location. This is a beautiful cottage in a peaceful location. Close to both Inveraray and Lochilphead. Crarae gardens about 1 mile away. Owners of the cottage couldn't be more welcoming and helpful. Loads of historic sites nearby - Castles, stone circles cairns etc. Also plenty of wildlife in the area and plenty bird species visiting the cottages bird feeders. Would recommend this cottage to all age groups. Great place to stay and relax for some days. We got a warm welcome and found a very clean and complete home for our holidays. 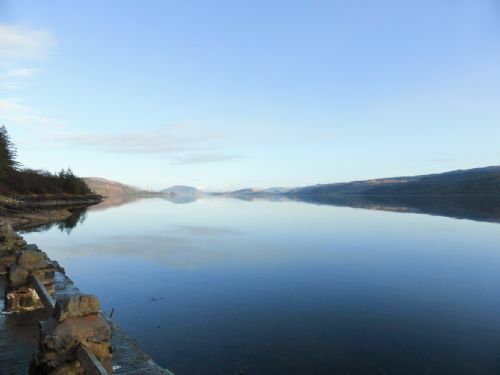 The location is great for daytrips to Inveraray, Oban or the Secret Coast. A rainy cold day can be enjoyed in front of a warm fireplace. We were made to feel very welcome by our hosts. The cottage is lovely and in a good place for visiting many places in the surrounding area. We felt that the on-line photographs didn't do the property justice. We could have stayed a lot longer as we felt so relaxed and at home! Excellent property to go to if you are allergic to dogs, I have a severe allergy to dogs and it is difficult to find a holiday let where the owners are true to their word when they say no pets as some owners we have booked with, often allow their own pets. The owners live in an adjacent property and were extremely helpful and approachable yet allowed you to enjoy your holiday in peace. The cottage was warm and cosy a real home from home. There is an amazing shower which was extremely welcoming after a long day exploring the amazing countryside before settling down next to the wood burner in the cosy lounge with a dram or two. The property is extremely well equipped, exceptionally clean and a wonderful quite and peaceful place to stay. We enjoyed horse trekking, hiring a boat on Loch Awe and catching our fresh makerel supper in Tarbert. The cottage is set up on the hill and a very short walk down the private driveway gives you a fantastic view of Loch Fyne. 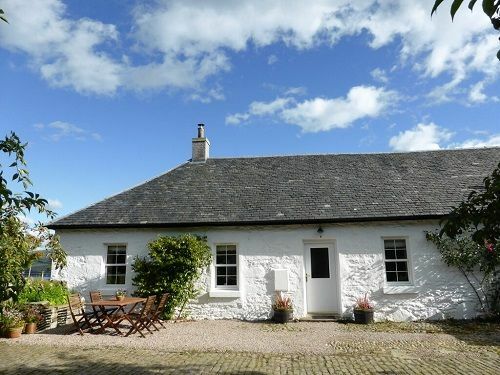 I would recommend this cottage to stay in as an ideal base especially if you are sampling Scotland for the first time. 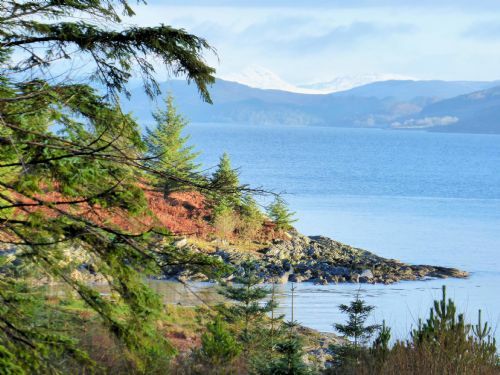 The most fantastic place to discover Argyll region ! An ideal place for a holiday. Comfortably furnished and equipped house. Lovely and very helpful owners. Very well-kept garden. The picturesque surroundings. Many attractions nearby. I would highly recommend! This cottage has been renovated to a very high standard, is well equipped and nicely furnished, and is a very comfortable place for four adults or a family of four to stay. 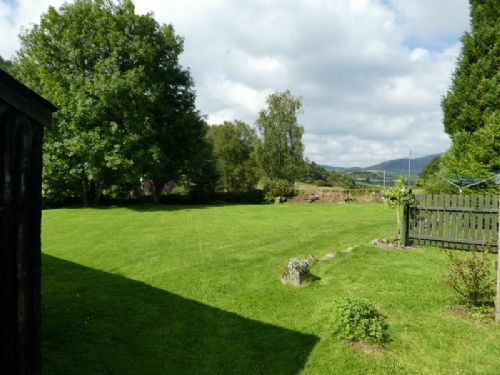 It has a spacious, well kept garden, plenty of off road parking, and lovely views down to Loch Fyne. The owners, John and Victoria, are welcoming and helpful without ever being intrusive. I would highly recommend Barr Cottage as a base for exploring Argyll. This is the perfect cottage to get away from it all. The cottage deserves 5* as the owners have considered everything that you may need for a holiday. The property has recently been completely refurbished and is maintained to a high standard. The area has great walks and places of interest. It is located in a 'foodies' paradise with so many choices of fabulous restaurants serving local produce. We highly recommend this property (and we are incredibly fussy) and will be returning very soon. A great location for exploring this part of Argyll, we concentrated mainly on the area around Lochgilphead, especially Kilmartin. The museum tearoom was delightful in the sunshine.The cottage was very well equipped and we enjoyed our stay. Didn't need to light the stove which was a bit disappointing!